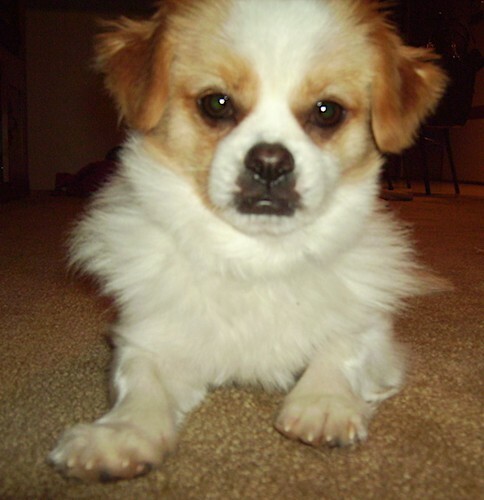 "Max a.k.a Bizzy the Tibetan Pap (Tibetan Spaniel x Papillon mix) at 2 years old. He weighs 10 pounds and measures 10 inches at the shoulders. I got Max for free from a friend, the reason he was free is that he was going to go to the pound. He was born into a litter of six an was the only boy. 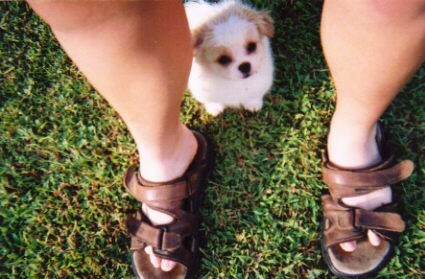 He was also the runt of the litter. He is reserved and wary of strangers and other animals. He is very vocal especially when he is on guard duty. He is good with kids until they try and pick him up. He had a bad experience with a young child when he was a puppy. He has to be at the highest vantage point in a room so he can scan for disturbances. He will literally climb a cabinet, table, window sill etc. to see everything. If you take a walk with him you will be exhausted, he can go forever. I taught him over 10 commands in under two days. This is surprising since he is a very stubborn and independent dog. He is highly intelligent considering every crate, fence, door etc. we put him in, he figured out how to get out of them. He is by far the best dog I have ever had." The Tibetan Pap is not a purebred dog. 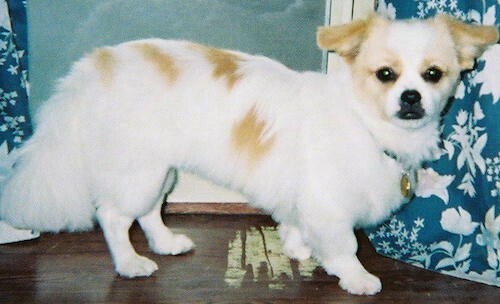 It is a cross between the Papillon and the Tibetan Spaniel. The best way to determine the temperament of a mixed breed is to look up all breeds in the cross and know you can get any combination of any of the characteristics found in either breed. Not all of these designer hybrid dogs being bred are 50% purebred to 50% purebred. It is very common for breeders to breed multi-generation crosses.